Why connect Google Forms and Asana? Ensure that the information you collect through forms receives the proper follow up actions. You’ve easily collected data, but you needed this data for a reason. 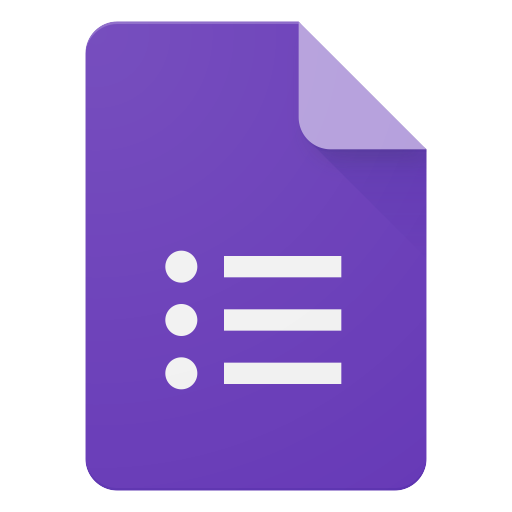 When you connect Google Forms and Asana, the data you collect becomes a clear list of actionable next steps your team can execute. About Tray.io: Tray is an integration and automation platform that supports almost any enterprise cloud software tool, putting the power of the entire Asana API at your fingertips. 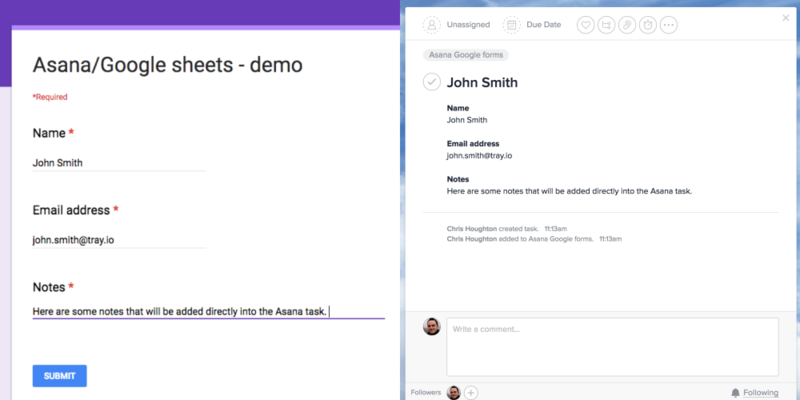 Seamlessly connect Asana with all your tools, including Salesforce and Google Forms, and boost your team’s growth and efficiency. Tray’s flexible drag-and-drop interface means that no developer resources are required.